← Hemispatial Neglect or Field cut? Children’s eyes are amazing. They bring the world to an eager child and facilitate development of many skills. The visual world influences posture and gait, fine motor development, letter recognition on to reading skills and many other areas. The importance of good vision cannot be over stated. The vision exam for a child should include assessments not generally not performed on adults. Check out this post first to understand how we see up close. Cyclopelgic Dilation and Refraction- This allows for the doctor to completely exam the retina of a child for optic nerve problems and other congenital problems that child may have. The cyclopelgic dilation also relaxes the ciliary muscles which control accommodation (focusing of the lens within the eye). This allows the doctor to exam the true refractive error of the eye which can frequently be corrected by the accommodation of the lens. This should be considered mandatory once a year. 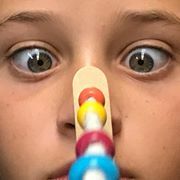 Near Point of Convergence – This brief assessment allows for the doctor to assess how how well the eyes are working together when seeing up close. Measured cover test- A cover test reveals the amount of effort needed for the eyes to maintain their position. It also shows subtle eye movement problems like strabismus. Retinoscopy – in this assessment, the doctor can get an objective measurement of refractive error. This eliminates communication problems some children may have and makes for the most accurate solution for a child;s visual acuity. General optometrists and opthamologists may or may not perform these tests. Without them, an important part of the assessment of a child’s vision has been left out. Eye movements can cause delays in gross and fine motor development and decreased reading performance and difficulty in sports, like hitting or catching a baseball. Look for doctors that advertise being pediatric or binocular vision specialist. Look for doctors that members of the College of Visual Development or the Neuro – Optometric Vision Association. These are doctors that specialized in the assessment of binocular vision skills. 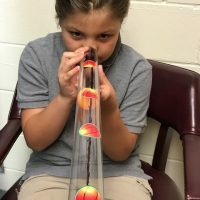 This entry was posted in pediatric, vision rehabilitation and tagged accommodation, convergence insufficiency, EOM assessment, eye movements, learning disabilities, occupational therapy, pediatric optometry, pursuits, saccades, visual tracking. Bookmark the permalink.